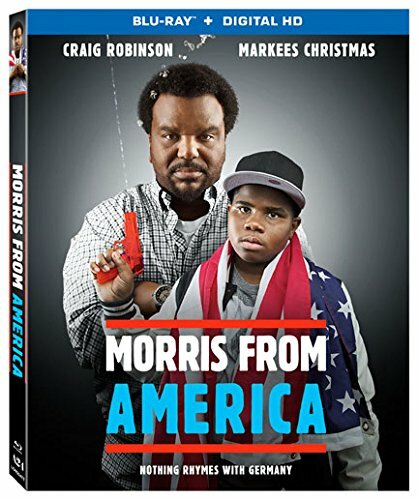 Coming of age narratives are in wide supply within the film industry, and in that sense there is very little revolutionary about Morris from America despite its unique setting. What helps this films stand out from a plethora of others is the depiction of a father/son relationship. Even if that dynamic itself isn’t original, the warmth and honesty of the portrayal makes enough of a crowd pleaser to forgive some of script’s familiarity. The film displays the typical struggles of a 13-year-old boy in the exploits of the title character, Morris (Markees Christmas); navigating his way through a crush on an older girl, fighting against the bullying by a popular kid, and difficulties communicating with parental figures. The biggest difference between this film and any number of other is the unusual setting of Heidelberg, Germany. Not only must Morris deal with the usual teenage melodrama, he is also something of an automatic outcast due to both his nationality and his race. After the untimely death of his mother, Morris’ father (Craig Robinson) relocates them to the small city in Germany. This is one of the worst places that Morris can imagine being, especially as an aspiring hip-hop artist amidst a culture that only seems to appreciate EDM. This difference in cultural interests only further highlights the differences in outward appearance, as Morris also appears to be the only black kid in the neighborhood. In an effort to get him more excited about their unfortunate situation, Morris’ father suggests he join a summer program for kids. While this situation proves to be more trouble than it is worth due to unfortunate stereotyping and bigoted behavior, it does provide the opportunity for Morris to meet his first crush. 15-year-old Katrin (Lina Keller) proves herself just as ignorant as the other locals when it comes to assumptions about Morris based upon his race, but she also treats him with a modicum of kindness. This comes after she uses his race to frighten her mother into thinking Morris is her new boyfriend, and after an incident where Katrin joins the bullies in an embarrassing him with a prank, but she is easily forgiven, as most pretty young girls are. Morris finds himself motivated by his new feelings for Katrin, giving him the courage to be creatively adventurous and to take all kinds of other bold risks. If the relationship between Katrin and Morris is fittingly frustrating, as most early romantic feelings tend to be, the dynamic between him and his father is where the heart of the film actually lies. Even though the film does tend to focus on Morris, we are given some insight into similar struggles his father is having. And the scenes showing the dynamic between the two of them make the film come alive with some of the best writing and clearest chemistry between actors. The Blu-ray release of Morris from America comes with a Digital HD copy of the film, along with a selection of extras included on the disc. Along with a generic making-of featurette and a commentary track with director Chad Hartigan joined by his two lead actors, there is also an assortment of extra footage. There are deleted scenes, a blooper reel, and even casting tapes for select actors.